HOME DZINE Home Improvement | Is your roof waterproof? As we experience climate change and unpredictable weather, making sure your roof is waterproof is a priority. For thousands of homeowners, roof leaks are an unpleasant part of every rainy season, and often result in expensive and unplanned for repairs. Waterproofing your house protects from damage caused by rain and moisture, and is one of the most important things you can do to take care of your home. Waterproofing prolongs the life of your roof and walls, and can even add to the value of your property. Making sure that your roof is waterproof not only ensures peace of mind that your home is safe, it also comes with benefits that include energy efficiency. To better understand why this crucial bit of home maintenance shouldn’t be put off, let’s take a look at some of the ways your property will improve if properly waterproofed. 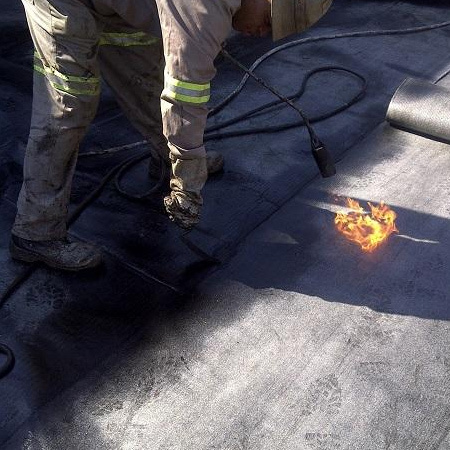 When your roof is not properly sealed you're going to have water leaks – often with expensive consequences. The majority of house have wood roof beams and trusses, and because wood swells and rots when it’s exposed to water, a leaky roof could result in a roof collapse if left untreated. Replacing a roof structure that has degraded because of water damage increases your carbon footprint significantly. The energy used to manufacture materials, as well as the energy used during installation, makes replacement a far more wasteful option than simply putting in place measures to ensure that your existing structure lasts - saving you on expensive repairs. Another sign of poor or insufficient waterproofing is the possibility of mould growth. Mould can pose a serious health hazard when left unchecked. If you see signs of mould around ceilings and walls, it is imperative that you take immediate action. Leaks in a roof also pose a health hazard, as mould flourishes in wooden beams, so reduce the risk by regularly checking that your roof is in good condition. When there are visible wet spots on your ceiling or down walls after a major storm, there’s a good chance that your roof already has a leak that needs serious attention. A quality roof insulation and waterproofing system can protect your home from roof leaks and water damage – if you act in time. Many homes that are built, especially older homes, do not take into account the need for proper waterproofing. The foundations of your house continuously shift and settle as a result of changes in moisture levels in the soil around the foundations after serious rains. It is a fact that homes that are well-insulated require less heating in winter and less cooling in summer. By waterproofing your home, you’ll enjoy pleasant indoor temperatures year-round. 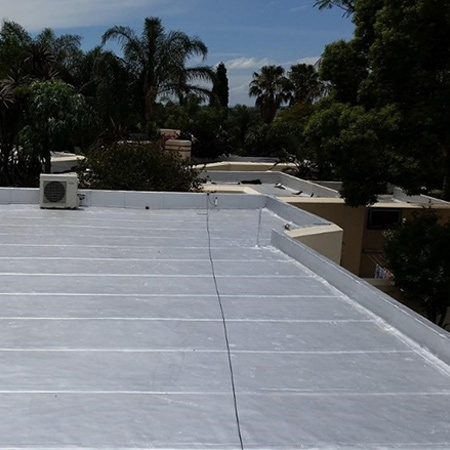 A roof that is sealed and well-insulated acts like a protective shield, keeping the winter chills and blazing summer heat out of your home by reflecting it off the surface of the roof. When you consider the high cost of electricity, the monthly savings could save you plenty of money every month, which means that your investment in waterproofing will soon pay for itself. Downpours and floods falls can happen at any time and if you are not prepared, you could be in for property damage and expensive repairs.